Is Content Marketing important for Schools and Colleges? Is Content Marketing important for Schools and Colleges? If you happen to run an educational institution( School/College/university, you should be on the internet. Why? For the simple reason that your target audience, namely the student community, is on the web. You don’t want to be left behind when your competitors are doing everything to leverage the power of content marketing to reach out to as many students as possible. Content Marketing and Quality Inbound Content are the best and most practical way of ranking higher on Google and other search platforms. But just what kind of content should I churn out? What are the platforms that I should be using? Who would be my target readers, apart from students? Higher education institutions are often faced with a difficult question: whether to focus more on offline or on online marketing? The answer is this: it is not about choosing one over the other but more about getting the combination right. And in both cases, the right content has to be crafted so as to connect with the target audience. And to cater to your target community in the most efficient manner, it is necessary to create content that keeps in mind the various stages of the student journey. The nature of the content on higher education will naturally vary from platform to platform. Let us first talk about the online platforms that are available to an institution of higher learning. The most important digital asset for the college would certainly be the website. This is the place where you can share all details of your college with the whole world, ranging from the courses and degrees being offered to the background of your faculty members to the infrastructural elements like quality of laboratories, libraries, gymnasiums and other such available facilities available. The content pertaining to faculty members or students can be put up as separate blogs. 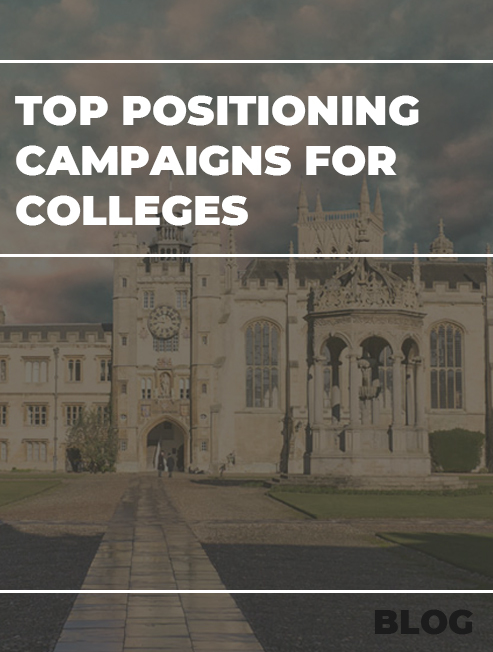 Here is a list of 14 best college websites by Lindsay Kolowich, senior Marketing Manger at Hubspot. An educational institution should definitely use LinkedIn for content marketing as it is one of the most popular professional networking platforms in the world today. If your focus is on graduate and continuing admissions you cannot avoid Linkedin. You can ask your faculty members to come up with articles on ongoing researches in their respective fields of study or posts of general interest to the academic community. You can also post updates on LinkedIn on the various activities on your campus, like fests or industry connect programs. A bonus is that Linkedin is a great tool to attract quality faculty to your university too! You can also share important information like dates of result announcements or updates to an ongoing or upcoming course on offer. Content of this type should be written in a straight-forward tone, arming the reader with ready-to-use information. The posts should not be very long, since it is expected that students will be on the go while consuming this information on their mobile phones. More precisely, they should be written in an inverted pyramid format, keeping the most important points at the top and then arranging the rest in diminishing order of importance. Linkedin now gives Universities the option of creating a University Page. 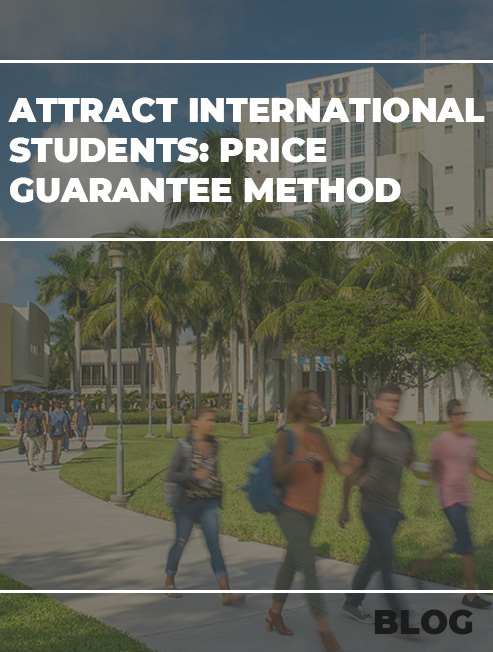 A university page has several benefits over a regular company page. A University page allows you to add alumni and connect with them. You can have conversations with the audiences interested in your school, including alumni, current students, parents, prospective students, and even employers, faculty, or donors. When it comes to blogs, the content can take a more creative bent. Compared to LinkedIn posts, the tone can (and indeed should) be less formal, as the purpose here is not just to inform but also to entertain. The blog entries should ideally be at least 500-700 words long, if not more, but the writer should avoid digression. While all stakeholders can be addressed through the blogs, the primary focus should be on engaging the target student group. And for this reason, blogs on education websites should not read like some boring classroom material. The blog topics can vary from “top 10 things to do on our campus during the fall” to “8 ways getting a PhD can make you look cool”. In other words, you can have blogs on academic topics as well, as long as you keep the tone interesting and the overall read is fun. Academicians are sometimes accused of being too serious and you would surely want to get rid of that tag when you host your blog. Another aspect about the blog content that needs special mention is that of the pictures you use. If you are writing on something like “top 10 activities for students on campus”, you are obviously staring at a potential flurry of visitors to the page. This is because every student, especially those who are new to the college, would be interested to know about the various ways of spending time on the campus. Here is a great example of a blog from Techno Institute of Higher Studies, Lucknow. Even though this blog gives mundane run of the mill information about the college’s Bachelor in Fine Arts course, it makes the blog incredibly wonderful by adding videos and pictures, which attracts readers to the blog. Here’s an almost guaranteed way of drafting an engaging blog: ask students to send in their most favorite photos of the time spent on the campus. Students can also be asked to pen down their experiences in their own words, as that will touch an air of authenticity to the blog. Depending on the kind of response from the readers, the blog post should also be integrated with the social media handles on Twitter and Facebook, where posts can be invited around a particular hashtag. This kind of visual and written content has all the ingredients to be very popular among existing as well as future students. Blogs can serve yet another important role for a higher education institution. They allow the faculty members to share their research in simpler language so that they can become accessible to the public at large. By doing so, the college can appeal to a much larger audience who share a general interest in the topics. Some professors are extremely good at explaining away their subjects, which is why they even get featured on programs like TED Talks. If such videos featuring the college’s faculty can be shared on the website, it would be an awesome way of sparking interest not just among prospective students but even among potential sponsors and donors. The social networking platforms can be used to share campus related news and updates on a regular basis. 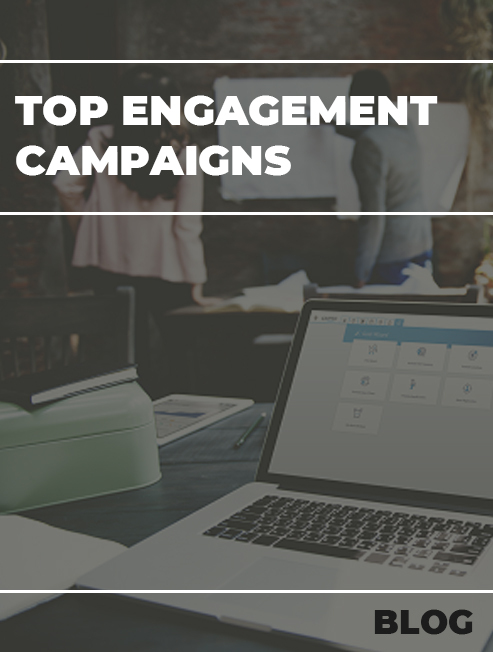 These platforms are obviously ideal for short form content, which are either for providing quick updates or for generating online buzz. To gain maximum leverage out of social media posts, textual content should be kept to a minimum and instead visual and video content should be shared generously to engage the young generation. 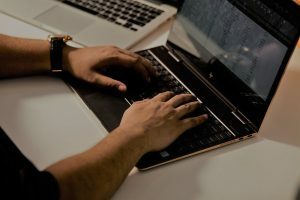 Another useful medium for staying perennially connected with your prospective student database is the email newsletter. The newsletter can be used for sending occasional reminders. Sometimes, it can be a good idea to create microsites on fests or special occasions like an annual fund raising event or cultural program within the campus. The content on the microsite should have a tone similar to that in the blogs. Apart from microsites, research related content can also be shared on other platforms like Slideshare or even Youtube, where a topic can be discussed using visually stimulating slides or videos. Once again, this type of content can appeal to a more diverse audience than would be normally possible for the official website. Thinking of content just in the form of text or even images is considered criminal in 2018! Investing in a good college promotional video is a must. Think of this as a 2-5 minute movie, yes it will be expensive and time consuming but the impact is far greater than a 1000 billboards. So take time and invest in a good video. Apart from your promotional video, smaller videos by students and faculties should be encouraged. They need not be of top quality and do not require you to spend, but having 2-3 high quality promotional videos is a must. So far we have been discussing the different ways of maximizing reach using content on online platforms. But close attention must be given to content on offline platforms as well. Fliers and other printed materials like college brochures must be prepared in a very professional manner. The tone of the content and the overall design superstructure should stay true to the overall brand identity of the college. The content on different types of platforms, should therefore display a unity of purpose and design, with a seamless transition between online and offline channels. For these reasons, the content marketing of educational institutions, whether for online or offline platforms, should be left only to experts who are conversant with the tricks of the trade. 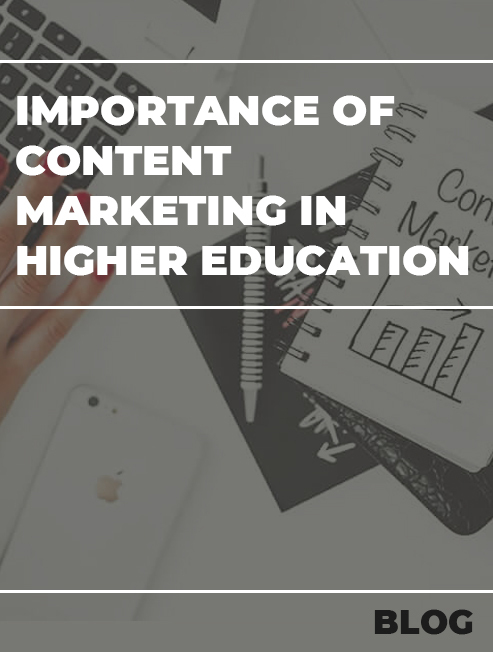 Content forms an integral part of higher education marketing. Institutions should focus on creating content that is not only relevant and helpful to the academic fraternity but to the general public on the whole. 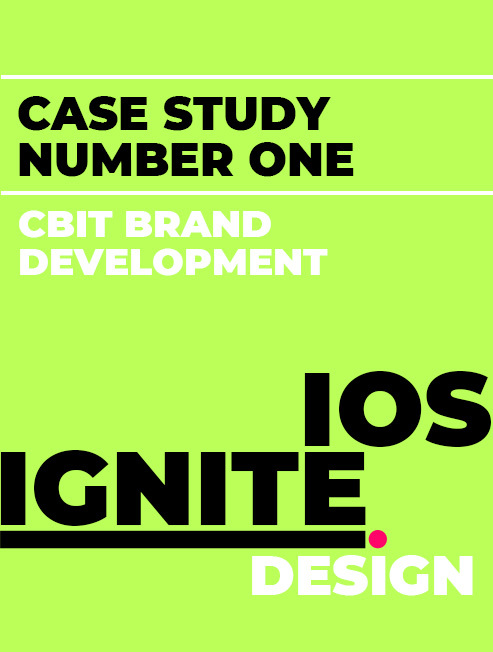 However, the nature of content in terms of its tone and purpose will vary from platform to platform, while maintaining consistency with all the elements of branding. 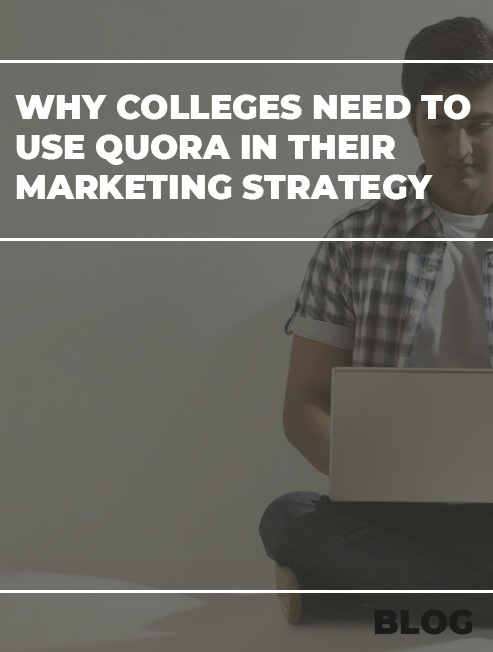 In order to differentiate itself from other institutions, a college should focus on content that stands out and helps establish superiority in comparison to peers. This is a task that is easier said than done and will therefore require the services of an experienced education consultant that has expertise in drafting the perfect content marketing strategy. 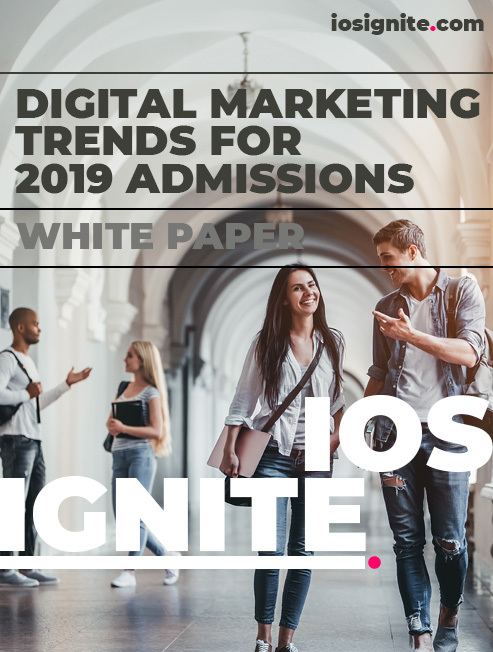 Download a complete whitepaper to the Digital Marketing Trends to improve admissions in 2019. Is Content Marketing Important for Universities? Content Marketing should be an integral part of your marketing plan to improve your colleges' reach and brand. This blog discusses Strategies that work on Social Media and can boost your presence.